Item # 310401 Stash Points: 2,795 (?) This is the number of points you get in The Zumiez Stash for purchasing this item. Stash points are redeemable for exclusive rewards only available to Zumiez Stash members. To redeem your points check out the rewards catalog on thestash.zumiez.com. Pour up a drink for you and your friends with the Paradise Shot Glass Set by N°Hours. 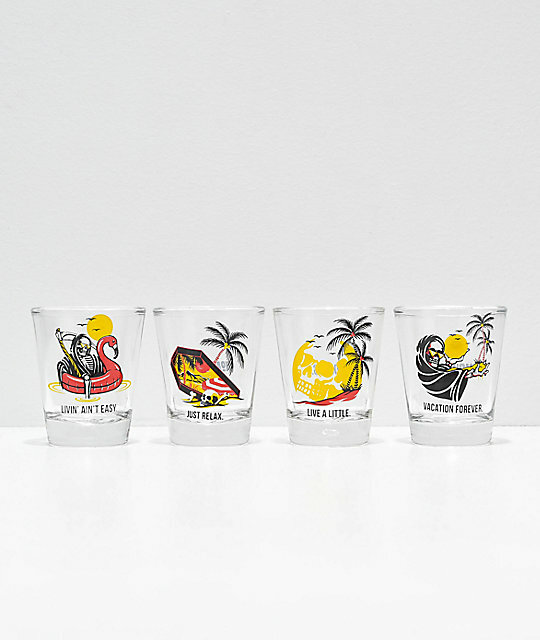 This four piece shot glass set features a different beach-inspired graphic on each glass, displaying skulls, palm trees, and skeletons, along with N°Hours branding for a must-have addition to the party. 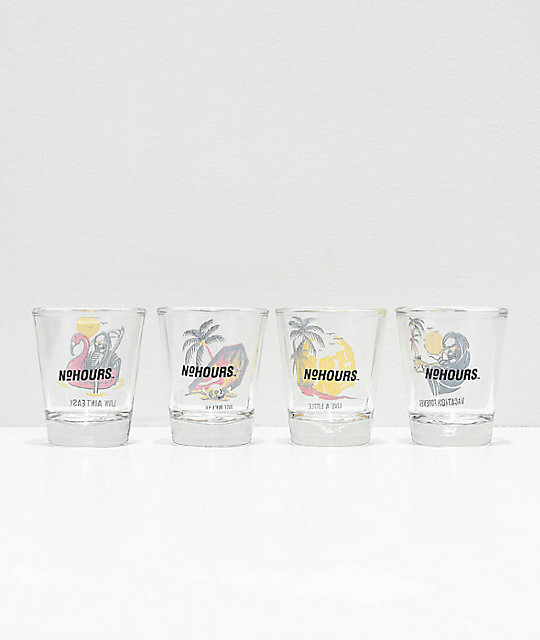 Paradise Shot Glass Set by N°Hours. Four piece shot glass set. Beach inspired graphics with N°Hours logo on each piece.